If Hurricane Lane strikes Oahu, officials say they have a plan in place to clear roads for emergency access as soon as possible. 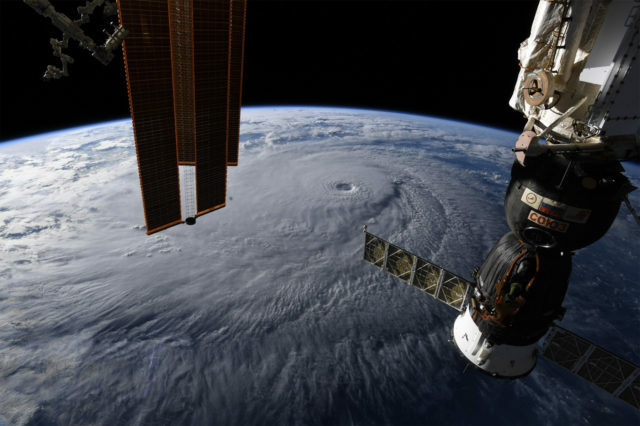 Under the Coast Guard’s orders, the state’s harbors have closed their waters to cargo ships and all other incoming vessels as Hurricane Lane began its fateful turn Wednesday toward the Hawaiian islands. With Lane approaching the Big Island first, the two major ports there, in Hilo and Kawaiihae, entered condition “Zulu” at 11 a.m. Wednesday. Not only does that close those ports to incoming craft, but it also requires any vessels docked there to leave and find safer waters. Harbors across Maui County, including Kahului on Maui and Kaunakakai on Molokai, were expected to follow suit and enter condition Zulu late Wednesday night. 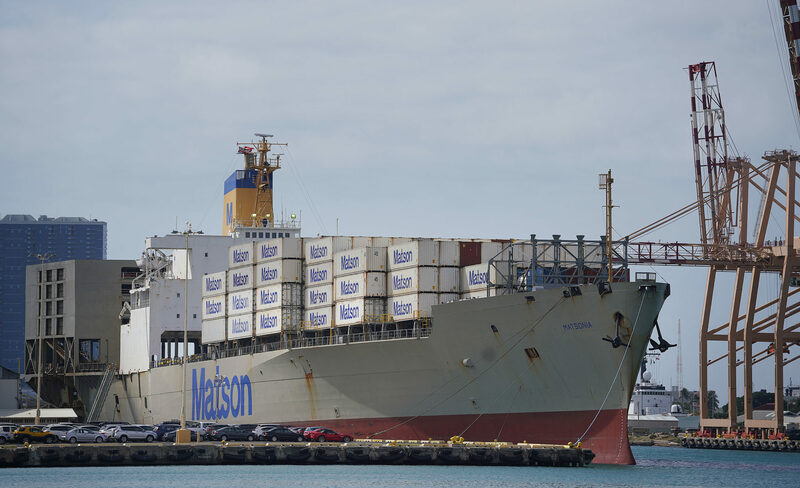 Then, by 11 a.m. Thursday, Honolulu Harbor — the largest port and a lifeline to all Hawaii residents — is expected to enter condition Zulu. The National Weather Service issued a hurricane warning for Oahu on Wednesday evening, as it had done earlier for Maui County and the Big Island. Hurricane Lane was a Category 4 storm as of 8 p.m., with maximum sustained winds near 145 mph. Honolulu Harbor, the state’s largest port, is set to close at 11 a.m. Thursday. Honolulu’s harbor won’t reopen until Lane has passed — and, significantly, until local authorities deem that it’s free of any sunken craft, debris, and safe to operate, officials say. “We have people scheduling operations for Saturday,” Hawaii Department of Transportation Harbors Division Deputy Director Darrell Young said Wednesday. “Provided nothing happens,” Young quickly added. DOT, Young said, has contractors ready to scan the sea floor and pier sides at Honolulu Harbor to check that there’s no debris that might cripple an incoming vessel. When Hurricane Maria struck Puerto Rico, the Coast Guard cleared that Caribbean island’s busiest port, the Port of San Juan, to reopen within 48 hours, harbor officials there said. Nonetheless, roads and highways clogged with debris helped keep lines of trucks loaded with supplies stuck at that port. Young’s counterpart in charge of highways at DOT, Ed Sniffen, said Wednesday that his division has a plan to clear the roads around the harbor, the airport, the hospital and other critical areas. The division has 60 to 80 employees on standby to deploy across Oahu. If Lane hits as forecast, they’ll ride the storm out inside the Harano tunnels of H-3, as well as Wahiawa, Moanalua and other areas outside the flood plain, Sinffen said. Once the storm passes, they’ll fan out with loaders, backhoes, and other heavy equipment to clear default roads needed for emergency access, he said. If they have communication with the island’s emergency operations center, they’ll head to where they’re most needed, Sniffen added. DOT will also keep a close eye on the Pali Highway tunnel. After rockfalls damaged cars there two weeks ago, crews discovered a crack in the mountain above the tunnel, Sniffen said. They’re worried that Lane’s wet weather could bring more landslides from that crack. Crews will close the Pali Highway’s Kailua-bound lanes, which are closest to that slope, starting at 8 p.m. Thursday. “We do not want to see what happened in Puerto Rico, and we do that by making sure that we’re prepared,” Honolulu Mayor Kirk Caldwell said during a press briefing Wednesday at the city’s emergency operations center. “It starts with every one of the residents on this island” making sure they’re prepared with at least 14 days of food and supplies, as well as assisting neighbors, Caldwell added.